This opens up worlds of possibilities. Astronomers just discovered 72 never-before-seen galaxies using the Multi Unit Spectroscopic Explorer (MUSE) instrument on the ESO’s Very Large Telescope (VLT) in Chile as part of the deepest spectroscopic survey ever conducted. These galaxies are all located in a relatively small area of space known as the Hubble Ultra Deep Field (HUDF). Over the last decade, this area has been the target of a wealth of observation, but it wasn’t until scientists were able to look at it using MUSE that these 72 galaxies became visible. This is because these galaxies are Lyman-alpha emitters, meaning they only shine brightly in one color of light. Unlike the other telescopes used to study the HUDF, MUSE uses spectroscopy to break light into its component colors. “This allows us to measure the distance, colors, and other properties of all the galaxies we can see — including some that are invisible to Hubble itself,” Roland Bacon of Lyon Centre for Astrophysics Research (CRAL), who led the MUSE HUDF Survey team, noted in a news release. In addition to revealing these 72 new galaxies, the MUSE survey also led to the collection of extremely detailed spectroscopic measurements for 1,600 total galaxies. Using other ground-based telescopes, astronomers were previously only able to provide such precise measurements for roughly one-tenth that many galaxies. Already, the dataset produced by the MUSE survey has resulted in 10 new scientific papers, all of which will be published in a special issue of Astronomy & Astrophysics. They range in topic from how stars formed in the early universe to how materials flow in and out of galaxies. Perhaps most exciting of all, however, is what this data means for our search for extraterrestrial life. NASA estimates that the Milky Way is home to between 100 billion and 400 billion stars. If the eight planets in our Solar System represent the average, it means that our galaxy could house anywhere from 800 billion to 3.2 trillion planets. If each of the 72 newly discovered galaxies boasts the low-end estimate of 100 billion stars and the same average for planets per Solar System, our hunt for extraterrestrial life could now include an additional 57.6 trillion planets. As our view of space improves, so will our chances of finding life beyond Earth. Several forthcoming advances in telescope technology will additionally support us expanding on the MUSE survey by providing a better look at the galaxies it uncovered. 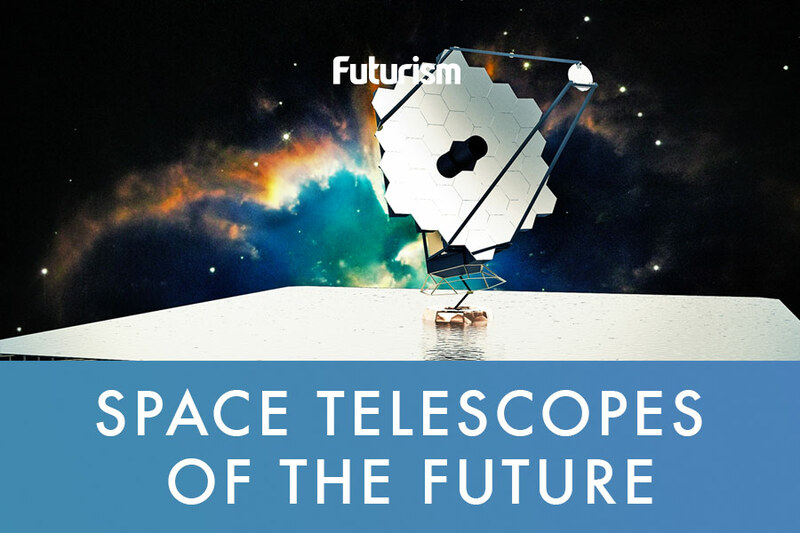 “Future coordinated observations with the James Webb Space Telescope shall help us to understand these galaxies,” Bacon told Futurism. The highly anticipated telescope is excepted to launch in 2019, so scientists won’t have to wait long to make use of this technology. Once launched, it will allow astronomers to analyze the atmospheres of exoplanets in far greater detail than they’ve ever been able to, and they could use that ability to hunt for life within these newly discovered galaxies. If the JWST doesn’t turn up any signs of life, however, the Space Telescope Science Institute’s Advanced Technology Large-Aperture Space Telescope (ATLAST) might. That device is expected to have a resolution five to 10 times better than the JWST’s, making it powerful enough to detect biosignatures in the spectra of exoplanets. Ultimately, if finding extraterrestrial life is a numbers game, humanity’s odds just went way up thanks to the MUSE survey.